Starting today both North American and European fans can sample the upcoming Theatrhythm Final Fantasy Curtain Call, Square Enix has announced today. The demo will feature two songs – J-E-N-O-V-A (Final Fantasy VII: Advent Children) and Edgar and Sabin’s Theme (Final Fantasy VI) that can be replayed up to 30 times. Additionally, players that download the demo will automatically have more characters unlocked when playing the game at launch. 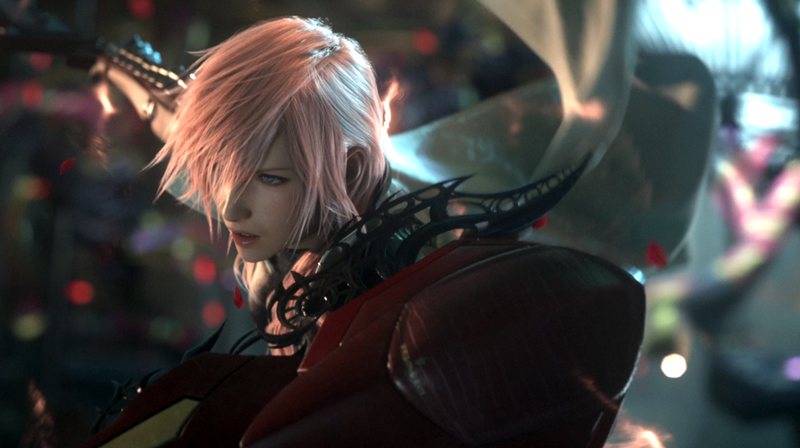 Along with this demo release, a new vignette featuring the music of the Final Fantasy XIII series has been uploaded online – offering up a look at themes from Final Fantasy XIII, Final Fantasy XIII-2 and Lightning Returns. Theatrhythm Final Fantasy Curtain Call will be available on Tuesday, September 16 for $39.99 for the Nintendo 3DS. Pre-orders for the game are now available through participating retailers and include the ‘Theatrhythm Final Fantasy Curtain Call – REMIX SELECTIONS’ Music CD with five tracks from the game. Posted in Final Fantasy XIII, Final Fantasy XIII-2, Lightning Returns: Final Fantasy XIII, Theatrhythm Final Fantasy, Videos.